I finally completed the transaction yesterday, after couple weeks of research. I was picky on the options, M sport, premium 2, and parking assist (tight garage) were a must for me. There were not many cars in the area, the dealer found this one in transit and transferred the vehicle for themselves after asking the other dealer that the car was shipped to. 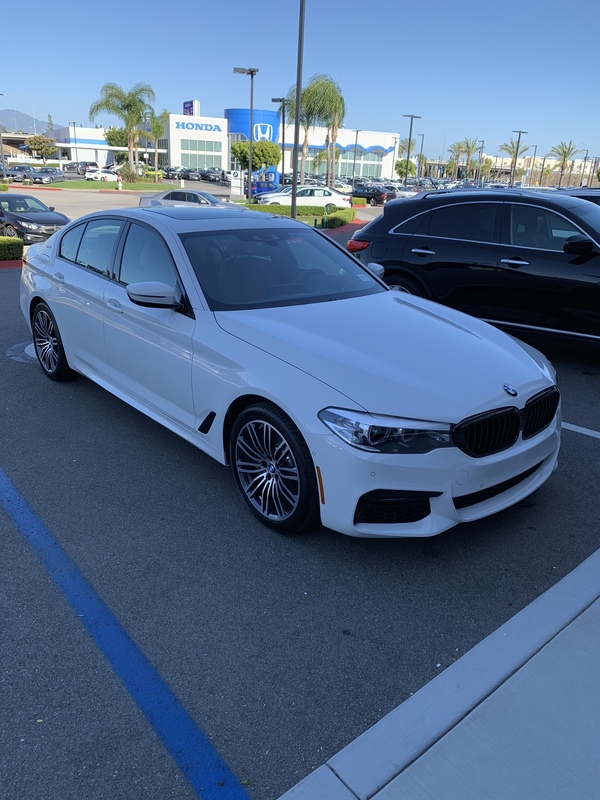 There was one more in another dealer for $20 cheaper, but the interior in the one I got is cognac (vs black), and the other was in the lot for 7 months (I just got out of a lemon case, this time I wanted to stay away from the cars that’s been in the lot for a long time). I completely forgot to ask the finance guy if I can waive the acquisition fee for a higher MF, not sure how much it would change monthly. I know it’s not a unicorn for sure, especially compared to the recent crazy TX deals, but it took me some time to find the car with exact options and also negotiate a reasonable number. The deal is still below 1% after the post sale rebates, and with 15k miles per year. I haven’t asked the dealer if they can replicate it, but if anyone is interested, I can definitely ask for it and let you know. What does a car being on the lot for 7 months have to do with being a lemon? It does not have to be. It’s just my experience. Crap half the cars I leased must have been lemons and I didn’t even realize it! Also, this doesn’t feel like a good deal. I totally understand the love for the cognac interior - my fav too. But on an MSRP level, it doesn’t feel so good for SoCal. Did you try Dave at Murietta? Congrats! You’ll love the car. This is definitely a good benchmark for others looking to get into the 530e. I think this is very replicable given the incentives you qualified for. If it were me and I qualified for the same incentives (OL, loyalty, college grad), I would have aimed for more like $500 sign and drive, or something more aggressive on a MY18. But sometimes you gotta pay a little bit more to get the options you want — plus you took a hit for the extra miles. Regardless, nice job, thanks for sharing, and enjoy the car! @okaplan what dealer did u get this at? Im also curious to see if dave can get better numbers on it. His dealer also did not have one with the packages I wanted, I messaged him for a factory order question. Once the dealer found the one I got on the transit, I didn’t want to ping pong between the dealers to get me that specific car. Thank you sir. I love it already! It’s just a bit of a size downgrade after X5, but this time I wanted to save a bit. I drive average 14-15k miles per year, so hopefully gas cost savings would make a difference. It is maybe my bad for asking the dealers for a vehicle with very specific options. Parking assist with m sport was a bit challenging to find. They did not want to play the ball when you’re too specific. I will be paying a bit extra for the options and the miles for sure. I aimed for MY18 initially, but there weren’t any with the same options. Awesome deal specially for m sport, these things are hard to find! Congrats~~ Love the color combo. Looking to replace my i3 BEV with 530e so might come your way for contact. True. Prob the last dealer I’d go to, tbh. Very few hacks on the forum come from them. Thanks. They’re not easy to deal with for sure. Asking for even a $2 off was a pain. I was guarded with other quotes, that helped to get the number down. They initially started form mid 600s. Let me know anytime if you need to contact info!